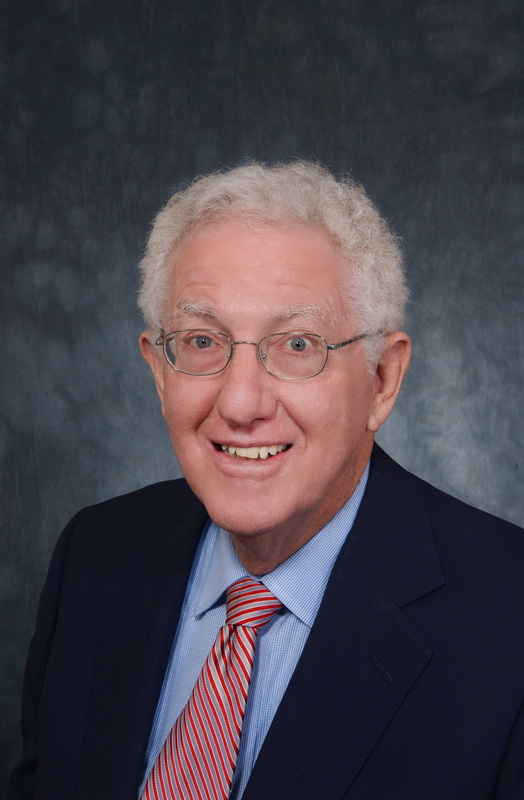 Jim Grossman has been an international and commercial arbitrator for 17 years with a focus on intellectual property and business disputes. Prior thereto, he was an international business and corporate securities lawyer for more than 25 years, including time spent as a Presidential appointee in the U.S. government and also as an international business executive (Chair of the Board of a UK public company). He is a graduate of the Harvard Law School with business activities in San Francisco, London, and Geneva. He lives in San Francisco. His strong business background and venture capital experience contributes to his emphasis on resolving disputes in arbitration by finding ways to shorten the arbitration process through the use, where appropriate, of dispositive motions and limited discovery, while insuring that the parties are given a full opportunity to present their respective cases. In September 2016 he was appointed to the American Arbitration Association's newly formed Mergers and Acquisitions and Joint Venture Disputes Panel based upon his experience in these areas. Many of his domestic and international cases focus on IP issues (patent, trademark, trade secrets, or med device/biotech cases or disputes between two companies or individuals and companies with prior relationships through joint ventures, licensing, distribution agreements or simply as shareholders or partners. He does not allow the arbitration to become a litigation exercise with extensive formalities, endless depositions, and objections during hearings as if this were a formal trial in a court room. He feels that if the parties have selected arbitration, they are entitled to cut through the often elongated ways of litigation and find out as quickly as possible what the issues are, still giving both parties their time to present the issues, but focusing on getting to a decision. He has served as an arbitrator in a number of arbitrations as sole arbitrator or as chair or member of three panel arbitrations where the administrators are the International Chamber of Commerce, the American Arbitration Association, the International Center for Dispute Resolution, and the World Intellectual Property Organization in Geneva. He is one of founding members and of the Executive Board of the highly regarded Silicon Valley Arbitration and Mediation Center whose members are known for expertise in intellectual property and technology disputes. million and is listed on the LSE. He is a director and counsel of Applaud Medical Inc., a medical device company based in San Francisco with a new patented treatment for the removal of kidney stones. Applaud has raised $11 million in an A1 and A2 round including an investment from a renowned public pharma company. He has been a director 1) of a tax advantaged solar company based in the UK (part of a UK group with over GBP 100 million of investments ) using monies from the UK to finance solar in the US. ​Acts as sole arbitrator, member of three-person panels and as mediator in both private international and complex commercial business-related disputes, with a special focus on all aspects of technology including intellectual property, licensing, patents and trademarks, as well as all types of business disputes, including those relating to acquisitions and dispositions, joint venture, partnership and shareholder disputes. In view of this latter experience in September 2016 he was selected by the American Arbitration Association to become a member of its newly formed Mergers & Acquisitions and Joint Venture Disputes Panel. Member of and have acted as arbitrator during past year with the American Arbitration Association’s International Disputes Panel through the ICDR in New York and the AAA Large and Complex Commercial Disputes Panel. Recently completed two arbitrations as result of his being a member of the International Chamber of Commerce (ICC) Arbitration Panel, as well as actively involved as member of the World Intellectual Property Organization's (WIPO) Arbitration Domain Name Panel. He is also a member of the National Forum panel focused on IP disputes. In 2014 he was one of the founders and is still currently a member of the Executive Board of Directors of the Silicon Valley Arbitration and Mediation Center (SWAMC) in Palo Alto, California. He is listed as one of highly regarded Arbitrator's Tech List of the SVAMC which focuses on technology/intellectual property matters. He has been a member of the American Bar Association's Dispute Resolution Section, Association of Corporate Counsel (ACC), International Center for Commercial Arbitration (ICCA), American Society of International Law (ASIL), San Francisco Intellectual Property Association, Licensing Executives Society (LSE) and California Lawyers for the Arts. ​He has been a member of the California State Bar Arbitration Panel relating to fee disputes. He currently serves as a member of the California Sup Court’s Mandatory Settlement Conference (Mediation) Panel. Dispute between limited and general partners in a venture capital partnership where limited partner exercised certain alleged rights to terminate the partnership while the general partner alleges the actions by limited partner was in violation of partnership agreement resulting in some millions of dollars of agreed obligations of the limited partner to the general partner. Dispute between lender in foreign jurisdiction (Belize) and borrowers in US relating to alleged violations usury and RICO statutes and possible obligations of shareholders of lender for joint liability. Dispute between Korean licensee and large US IP medical device licensor relating to allegations of non performance by licensor in providing insufficient IP details to licensee and for securities fraud in that licensee allegedly was required to purchase securities of licensor in order to obtain license. Licensor also sought significant damages for construction of facility allegedly in accordance with manufacturing rights agreement entered into whereby licensor would assemble portions of medical device. Licensor counter-claimed that licensee was wrongfully seeking to obtain critical confidential IP by claiming government agency of licensee needed access to this IP prior to approving license and assembly of medical device and also disputed claim for costs of facility. Dispute between general and limited partners in a venture capital fund involving significant obligations allegedly due to general partner(s). Dispute between individuals and a lending group as to the validity of the loans particularly as to the qualifications of the lending lenders. Dispute between claimant large Chinese intellectual property manufacturer and its exclusive US distributor respondent involving adequacy of licensed technology to perform in accordance with agreement with manufacturer, compounded by significant patent infringement claim by major multi-national company against the manufacturer and threatening the distributor making further distribution very risky. Both sides provided patent experts and arbitrator selected independent expert in view of the significance of the patent dispute to the overall case. Claim by U.S. public company acquirer alleging foreign acquiree’s misrepresentations in acquisition agreements involving purchase of securities resulted in overpayment. Disputes with Chinese companies allegedly misappropriating intellectual property, failing to meet licensing obligations, and selling below standard goods to US distributor. Intellectual property licensing ownership dispute between a U.S. company and foreign competitor. Third party sought to set aside the IP license between US company and a licensee claiming US company had no rights to license this particular IP. Dispute between U.S. manufacturer and German distributor over exclusivity and alleged conversion of intellectual property. US manufacture alleged that its distributor made insignificant changes to the IP and sold this "new" product without paying fees due to US manufacturer in that according to US manufacturer the IP was not sufficiently different and thus still belonged to US manufacturer. Claim by Asian distributor alleging U.S. manufacturer’s wrongful sales into exclusive territory. Asian distributor presented evidence that the US manufacturer had sold goods within the Asian distributor's exclusive territory in contravention of the distribution agreement. Claims by distributors of fraud and misrepresentation in establishment of large national distribution scheme by highly visible art sales company. Dispute by seller alleging inadequate disclosure by majority owner of billion dollar privately held company in arbitration which dispute involved in excess of $110 million. This was a "family" dispute between relatives whereby the selling family member had incredible anger with his relative and sought to demonstrate that the buyer of his shares had failed to disclose critical new information as to the success of this well-recognized conglomerate. Dispute between client and money manager relating to losses in securities transactions. This dispute related to a client who lost considerable amounts during the stock market downturn in 2008 and alleged the money manager failed to take appropriate actions to protect her. Alleged failure by Mexican resort to pay for services of architect. A very different kind of matter: Claim by individual involved in online dating service alleging dating service failed to protect her in significant fraud by another individual in the online dating service. WIPO. Active as arbitrator in disputes over ownership of domain names under the Geneva-based WIPO Uniform Domain Name Dispute Resolution Policy and Rules. This year arbitrated a dispute between a large Brazilian company and a party who had used the Brazilian company's trademark as part of a scheme of hacking and fraudulent effort to collect funds from the company's customers. As Chairman of U.S. Foreign Claims Settlement Commission, participated on three-judge panel in quasi-judicial international arbitration and mediation matters relating to expropriation of property by foreign governments. Acted as Special Representative to the United Nations Development Program for the purpose of assessing the impact of sanctions against Serbia on Romania, Bulgaria, Albania and Macedonia and mediating certain trade related disputes. The analysis was contained in a written report and oral presentation to the United Nations Security Council Committee on Sanctions. With regard to trade law experience, served as Chief Negotiator for the U.S. while working at the office of the U.S Trade Representative in the tariff reduction acceleration round of the U.S.-Canada Free Trade Agreement. This pact was a precursor to the creation of NAFTA. Unicorn Venture Capital Trust, London, United Kingdom. 2009 to 2017. London-based Venture Capital Trust (VCT) listed on the London Stock Exchange focusing on return of a diversified portfolio of investments, predominantly in the shares of AIM listed public companies, with such investments qualifying for certain tax benefits for UK investors. The VCT has in excess of GBP 120 million in assets, with investments made in more than 60 different companies. The objective is to focus not only on cash generative companies but also on diversification of the portfolio. Applaud Medical, Inc., San Francisco, CA 2014-present. A start up medical device company with a patented treatment for the removal of kidney stones. After a well received convertible note financing in the spring 2015, the Company in the spring 2016, raised an additional $7 million in a Series A Round of financing to allow for animal and subsequent human clinical testing to comply with FDA and EU requirements.The animal testing has been successful and the human clinical trials are in process in India and Australia. The patented treatment will not require hospitalization or general anesthesia as the other most used current procedures do and thus has cost benefits to insurance companies and less medical inconvenience for urologists and patients. The founders are a Nobel Prize laureate in Chemistry from Cal Tech, a Stanford physicist, and a leading urologist from the University of California San Francisco. Was a member of board of a tax advantaged solar company with focus on using capital raised in UK to finance solar in the United States. Company is affiliated with the Foresight Group UK which has over GBP 1 billion in assets. Thalassa Energy Holdings Ltd., Tortola, British Virgin Islands. 2008 to 2011. Member of Board until 2011 and since then on Advisory Board. Oil related technology company established to acquire and operate advanced technological marine seismic equipment for use by Company’s clients in monitoring the flow and depletion of an oil reservoir in an existing offshore oilfield. Company is listed on the AIM stock exchange in London. Company’s seismic equipment being used by large multinational oil companies in the North Sea as well as contract with Russian government for the Arctic region. Canoel International Energy Ltd., Calgary, Alberta. 2008 -2011. Oil exploration and development company based in Calgary, Alberta focused on acquiring positions in oil and gas production and exploration and development in different regions of the world. The Company was listed on the TSX Venture Exchange (Toronto). Canoel entered into a farmout agreement with an operating company for exploration in three concessions in Tunisia and has existing oil production coming out of Argentina. A cloud computing company with a range of solutions for businesses in the areas of governance, compliance, and risk management, reducing capital, maintenance, and infrastructure costs through the use of cloud computing solutions. The Company had established relationships with IBM’s Lotus Live and was integrated with that well known system during 2011. Champion provided two-way radio dispatch communications services in the U.S. and also provided wireless communication solutions in Vietnam (offices in Hanoi and Ho Chi Minh City). Champion was traded on the TSX Venture Exchange. Chairman of the Board. World Gaming and it's affiliates were developers and providers of internet-based transaction systems, newly developed technology, and management services for internet gaming businesses. World Gaming was a UK public company traded both over the counter on the NASDAQ (BB) in the United States and beginning in 2005 on the Alternative Investment Market (AIM) of the London Stock Exchange. Company Director of both public and private companies; and prior to acting as Arbitrator was corporate, M & A, and venture capital lawyer; International businessman. 2001 to present. International Arbitrator and Mediator with focus on technology, IP, and commercial disputes. 2000 to present. Member of Boards of Directors of publicly traded companies (AIM, LSE, NASDAQ). Please see separate page for details. 2000-2003. Of Counsel, Reed Smith (and merged firms), San Francisco and Oakland. Bay Venture Counsel (venture capital law firm) merged with Crosby, Heafey, Roach, & May in October 2001, and the combined firm merged into Reed Smith effective January 1, 2003. Practice focused on international business transactions, general corporate matters, mergers & acquisitions and venture capital transactions. 1995-1999. Legal Counsel and Business Lawyer / Business Consultant, San Francisco. Through my law firm, provided legal and business advice to start-up technology companies on matters including international business transactions, corporate and securities law, and venture capital financings. 1994-1995. General Counsel, Slovenia Development Capital Fund, Ljubljana, Slovenia. General Counsel to venture capital fund that made debt and equity investments privatized Slovenian entities. 1993. Special Representative, United Nations Development Program, Washington, D.C. Assessed the impact of sanctions against Serbia on Romania, Bulgaria, Albania and Macedonia, and mediated trade-related disputes. 1992-1993. Chairman, U.S. Foreign Claims Settlement Commission, Washington, D.C. Appointed by President George H. W. Bush to lead international tribunal adjudicating claims of US citizens against foreign countries. 1990-1991. Chief Negotiator, U.S.-Canada Free Trade Agreement, Washington, D.C. Chief negotiator for the U.S. in the tariff reduction acceleration negotiations. 1990-1991. Office of U.S. Trade Representative, Washington, D.C.
1972-1990. Partner, Member of Board of Directors, Member of Compensation Committee, Chair of Corporate Department, Buchalter, Nemer, Fields, and Younger (law firm), Los Angeles. Practice included serving as general outside counsel to several private companies, international joint ventures, international licensing and distribution agreements, direct foreign investment, intellectual property matters, off-shore investment vehicles, public offerings, mergers & acquisitions and venture capital transactions. 1969-1972. General Counsel, American Growth Properties Fund, Frankfurt, Germany and London, England. General Counsel to international real estate investment fund. 1967-1969. Minority Counsel to U.S. Senate Select Committee on Small Business, Washington, D.C.
1965-1967. Legislative Counsel to U.S. Senator Jacob K. Javits (R-N.Y.), Washington, D.C. and New York, NY. 1964-1967. Attorney-Advisor, Office of Deputy Attorney General, U.S. Department of Justice, Washington, D.C.
Conference", December 2016, SVAMC Monthly Tech Forum. Selected to be part of ABA's ADR Section's Delegation to Cuba, 2014. Directors Circle, San Francisco Museum of Modern Art, 2010-.